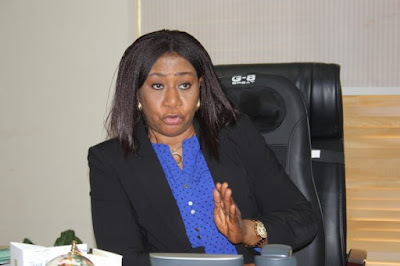 In order to simplify business registration and make it cheaper, the Acting Registrar General of the Corporate Affairs Commission (CAC), Azuka Azinge said the commission is considering lowering the cost of registering small businesses. According to Daily Times, Azinge through the commission’s Deputy Director, Public Affairs, Moses Adaguusu, said the cost for registration would soon go for N5,500 instead of the N10,500. The commission had also concluded plans in February, 2018, to close manual registration of businesses and corporations in all its remaining locations nationwide. The Head of Public Affairs, CAC, Godfrey Ike, disclosed this during a two-day strategic management planning retreat recently held. He said the action became necessary to enable the commission extend its online services across the country. It would be recalled that as part of efforts to enhance the ease of doing business in Nigeria, the Corporate Affairs Commission (CAC) announced some far-reaching decisions, part of which is the company incorporation in 24 hours policy. The Corporate Affairs Commission (CAC) was established by the Companies and Allied Matters Act, which was promulgated in 1990 to regulate the formation and management of companies in Nigeria. The establishment of the CAC as an autonomous body, was as a result of the perceived inefficiency and ineffectiveness of the erstwhile Company Registry, a department within the Federal Ministry of Commerce and Tourism which was then responsible for the registration and administration of the repealed Companies Act of 1968. To administer the Act, including the regulation and supervision of the formation, incorporation, management and winding up of companies. To establish and maintain companies registry and offices in all the states of the Federation suitably and adequately equipped to discharge its functions under the Act or any law in respect of which it is charged with responsibility. Arrange and conduct an investigation into the affairs of any company where the interests of the shareholders and the public so demand. To undertake such other activities as are necessary or expedient for giving full effect to the provisions of the Act. The Commission also registers Business Names, and Incorporated Trustees as well as provides a wide range of ancillary services.